A limited number of Travel Awards to PhD, MD, or MD/PhD students, and post-doctoral/medical/clinical fellows are available. The purpose of this program is to defray the travel costs associated with making a scientific presentation as a first author or presenter at a conference, symposium or other appropriate professional meeting. It is anticipated that up to 10 Travel Awards will be awarded in each competition. Note: Eligible expenses include: 1) Conference registration fees; 2) Accommodations; and 3) Transportation, and will not exceed $2,000. At the time of the conference, PhD, MD, MD/PhD students must be registered at an eligible Canadian host institution. 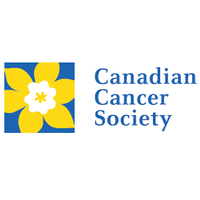 Candidates must be attending a conference for the purpose of presenting data (paper or poster presentation) from a cancer-related project on a first-author or presenter basis. Acceptance is not required at the time of application, but is a requirement to be eligible to claim the award. Applications will be accepted for conference dates within 6 months following the funding start date. Note that acknowledgement of CCS funding must be included in the paper or poster. Individuals may receive this award only once per stage of training (e.g. PhD, MD, Post-doctoral fellow). Unsuccessful applicants may reapply in subsequent competitions.